IS IT ‘GURU WA MUKULU” OR “GULE WA’MKULU”? JUST ASKING, I MAY BE WRONG. Chisenga, “Gule Wam’kulu”. Thank you. @Chisenga – very correct observation. It is Gule Wamukulu. Translated as follows: Gule = Dance; Wamukulu = Big. Hence Gule Wamukulu = Big Dance. IN THIS DAY AND AGE ITS A PITY WE STILL HAVE THESE RELICS CALLED CHIEFS etc etc. ALL IN THE NAME OF TRADITION WHICH I CALL NAKED OPPRESSION. 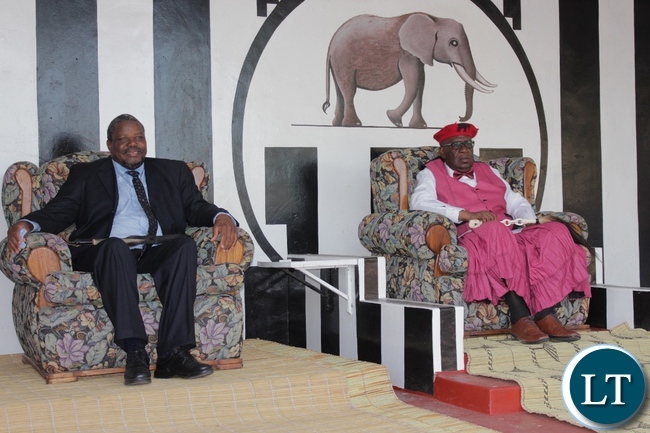 CAN ANYONE TELL ME WHAT ANY GOOD SO-CALLED TRADITIONAL LEADERS HAVE EVER DONE FOR THEIR SUBJECTS? THEY SOLD THEM INTO SLAVERY FOR BEADS , GUNS AND EVEN A MIRROR. THEY ARE VAIN AND EVEN TODAY ALL THEY CARE ABOUT IS THEIR OWN COMFORT. THEY ARE UNDEMOCRATIC AND ARE AN ANACHRONISM WAITING TO BE UPROOTED FOR THE SAKE OF PROGRESS. Nice to see that there are no politicians WHO NORMALLY CAUSE CHAOS AT THESE CEREMONIES. NO, WE ARE TOLD THAT THERE IS ONE HH IN THE CROWDS. BUT HE HAS BEEN OVERSHADOWED. Yes, it was even better that HH was overshadowed. This was a cultural event not a political rally. If HH had showed his head up, it would have defeated the subtle strong message delivered at the ceremony by Gule Wa Mukulu’s attendance. If only politicians could learn how to behave in the presence of royalty. I am told, those in Ghana and Great Britain know. But why then, ours don’t? And I love that gift from the litunga. I say thank you on behalf of my Chewa brothers. In future, people will look back on this Year’s Kuomboka Ceremony as a pivotal and defining event for the unity of this country. The impact of Gule Wa Mukulu being invited as Guest of Honour to this Kuomboka ceremony is yet to come and be felt. I’m sure our historians are following this momentous occasion with keen interest. 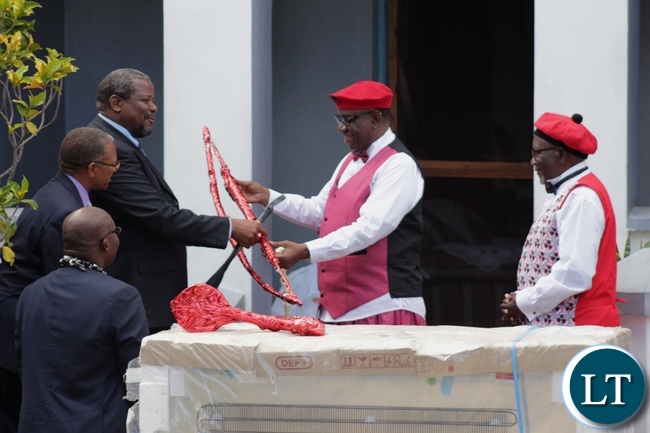 I’m looking forward to our other Chiefs replicating this across the country and making our lovely traditional ceremonies national events, and not events to assert one’s tribal stand. If our Chiefs continue doing this, it will encourage local tourism even more. Makes me proud of being Zambian. Sorry guys, I seem to be gushing over this, but I’m sure some will agree with me! 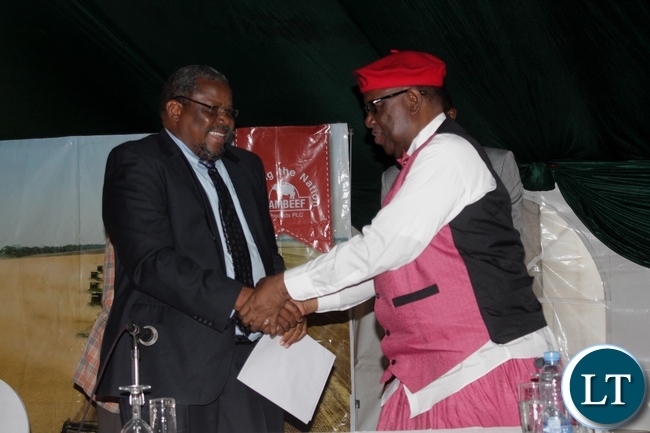 Just a minor correction that Gule Wa’Mkulu was not the guest of honor. The guest of honor was Paramount Chief Gawa Undi. 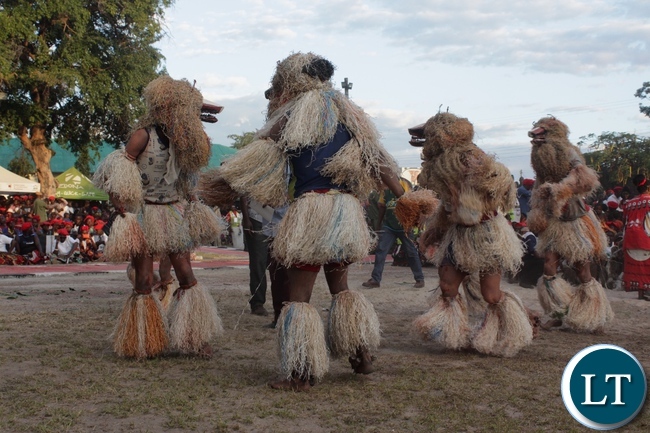 Gule Wa’mkulu is the bid dance (Nyau) performed by the Chewa people. @Judge Masipa, you should direct the message to the divisive Chief crappy pants at the jumping Mukuni. We do recall what happened last year. This year, one of the two got invited as a VIP, the other was not. It’s how the royals interpreted the embarrassing developments of the previous year. Healing must be allowed to take place. Forgiveness is yet to be. That is entertainment. remember there is no telemundo, Kabanana, Z-world in the village. Good for the people. ..no political fighting for recognision or refusing to recognize. Kudos to the BRE; well planned and executed! A friendship stretching from east to west, traversing mountains, rivers and lakes. 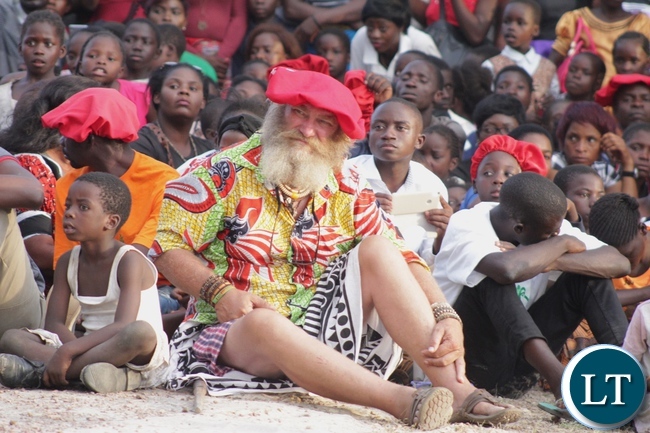 That picture of a white dude in a traditional Lozi attire is priceless… sums up the beauty of this ceremony. 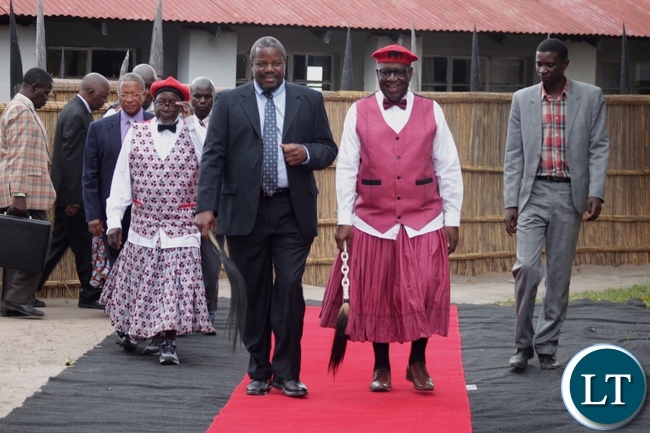 Awesome to see Chief Gawa of the Chewa people at the Kuomboka… looks every bit loyalty and blends well with the Litunga loyalty (much better than Mpenzeni or Chitimukulu – sorry Bemba and Ngoni folks, no offence intended, just my point of view observation). Gawa and the Litunga have made History. It can’t be better than this. This should have happened much earlier. I am sure from this will come many treaties, including the one which has been signed and implemented immediately. Two Marcopollo passenger buses full of new female initiates from Limulunga were spotted yesterday crossing Luangwa river on their way to the East. Selection of male counterparts from the East was only concluded late last night, after ensuring that all the males passed their medicals at pre-screening. 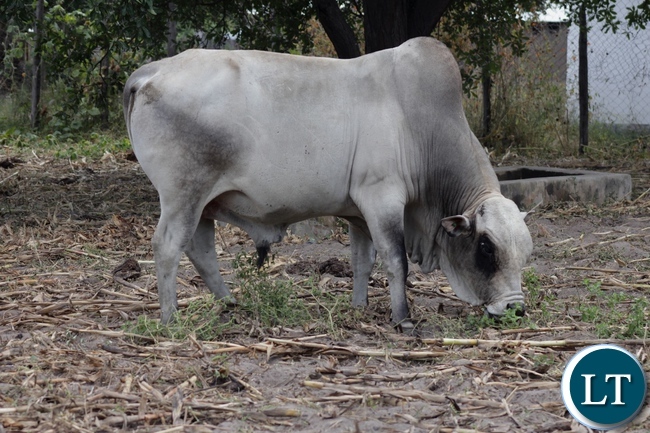 The bull donated to Gawa by the Litunga will be slaughtered at the initiate-initiate unification ceremony slated for the weekend. Chitapankwa was that a made up joke or what you have just written is true. The Ngoni’s are cousins to the Bembas and the Chewas are buddies not cousins with the Lozis. Interesting stuff! 1.0 I am shocked to see a Litunga delivering a speech. Where was the Ngambela? I sense a problem. 2.0 Picture 8, I can see an old man wearing former Acting president Dr Scot’s siziba. 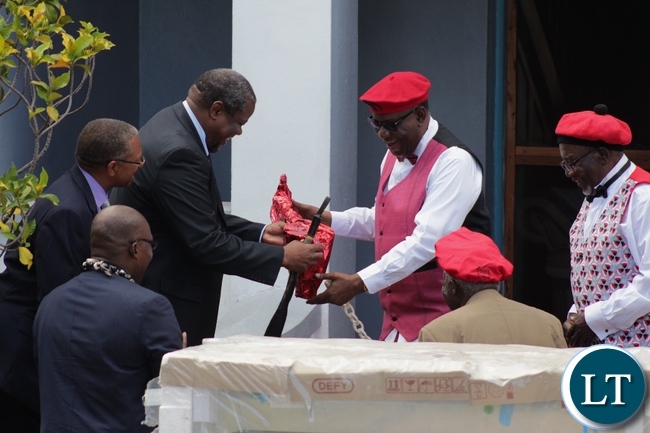 3.0 Guest of honour bringing rubbish gifts. 4.0 Guest of honour has no traditional attire. That is very embarrassing. 15 * Well spotted ! @Litunga I am Lozi and I followed the event online. 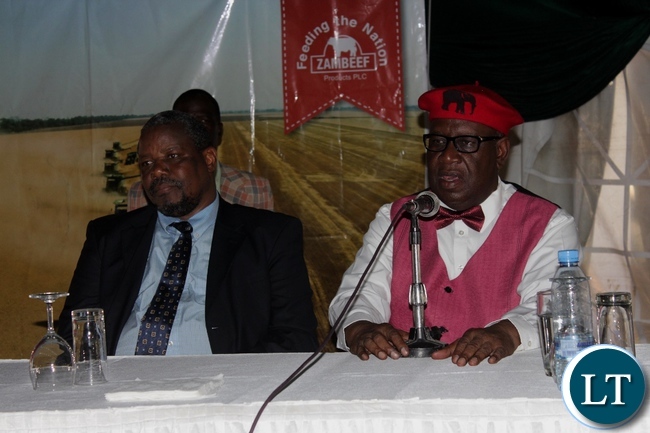 The photos you are referring to were at the banquet where the Litunga gave a keynote speech…normally held the next day after the main event. 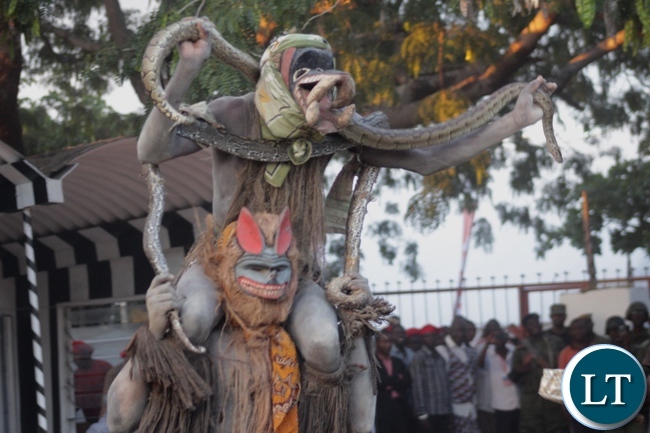 On the actual Kukomboka day Gawa Undi was in traditional attire….his attire for the Chewa King.